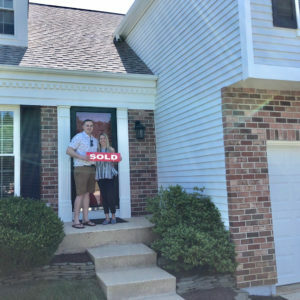 We were extremely happy to have the opportunity to work with Rachel on our new home purchase in Annapolis, Md. Being new to the area, she was just the expert we needed. Her deep understanding of the market allowed us to get the perfect house at the right price. During the whole process we felt nothing but confident with Rachel in our corner.Russ & Angela B.
I think one of the most important things to remember when you are looking for a new home is to have patience. Russ and Angela came to me looking to purchase a home quickly. They were new to the area and needed support to find the perfect community and home. We started viewing homes, but it was evident that Russ and Angela had differing opinions about what size of home they wanted. So, we viewed more homes to solidify what they really wanted. Russ and Angela were looking for a home that would have simple home maintenance – like public sewer and water. They found a home that didn’t have those amenities but seemed like a good fit and wanted to move forward. I stressed that they needed to be patient and the right now would present itself. In no time at all, Russ and Angela found the perfect home with everything they wanted in an amazing community, along with a gorgeous pond, complete with a fountain. By taking time to see more properties and not settling for the first house that seemed like a good fit, they found the perfect home for their future. I’m glad I was part of their new journey.